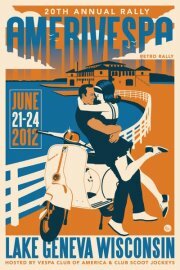 The 2012 Lambretta Jamboree put on by the Lambretta Club USA will be held in lovely Colorado Springs, Colorado this summer, just one week after Amerivespa. While Amerivespa is open to any type of scooter and has even been sponsored by the likes of Kymco in the past, the Lambretta Jamboree is 100% vintage – 100% Lambretta. 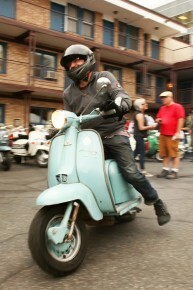 You have an all original 1963 Vespa GS160? Well that’s cute but you aren’t getting in the LamJam with it. 2SB will be reporting at both rallies. 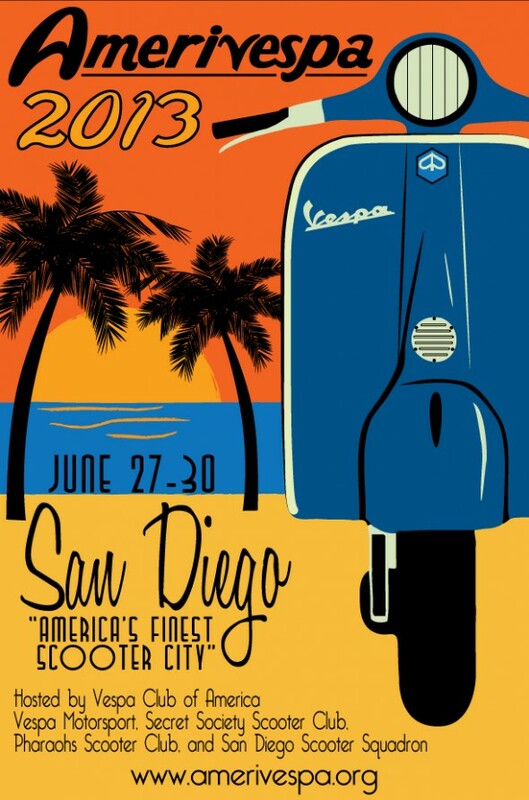 Amerivespa organizers posted on their facebook page that early bird registration has been extended until February 5th, so if you want save a few bucks now is the time to register. This years Amerivespa will be held in lovely resort town of Lake Geneva Wisconsin that should provide for some spectacular rides, that world famous midwestern hospitality, oh and probably beer. This is a Test, and an Update. I’ve been trying to get 2strokebuzz posting reliably to the 2sb Facebook page for months, is today the day it finally starts working? Let’s see. While we’re talking site news, I apologize for the lack of posts lately. You may have noticed Brooke and now Matt have been posting occasionally, which is great, and hopefully they’ll keep them coming. 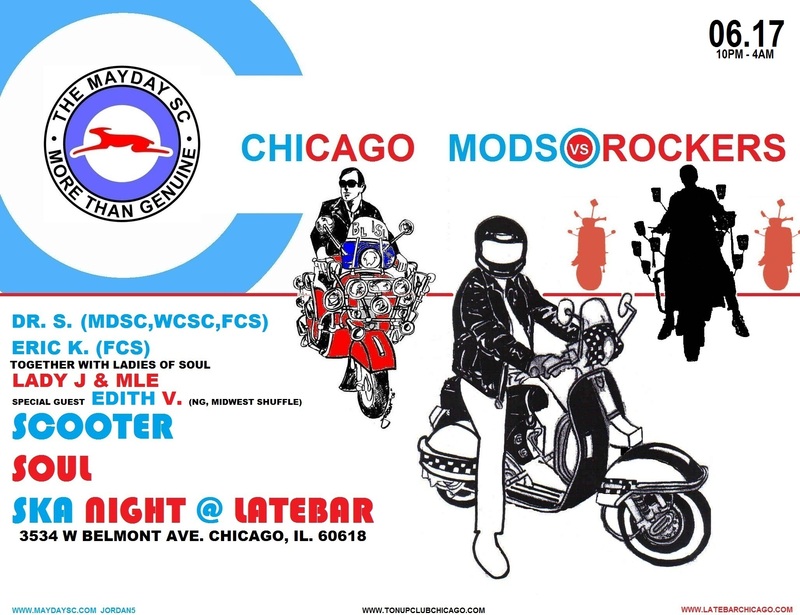 Honestly, I haven’t ridden a scooter for months, though I have been working on my Vespa 150 and hope to have it running reliably for Amerivespa in Lake Geneva, WI in June, I’m really looking forward to that. I also recently (finally) finished designing a special issue of American Scooterist celebrating the life of one of America’s most outspoken devotees of the Vespa and scootering in general, John Gerber, who passed away in 2010. It’s on press now and will ship to VCOA members soon. 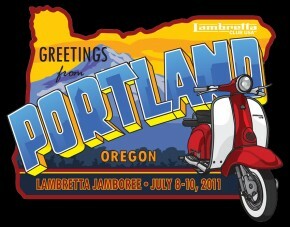 While we’re on the subject, Lambretta Club USA’s Lambretta Jamboree 2011 is in Portland, OR, July 8-10. Preregistration is open through June 5th. Amerivespa 2011 is June 16-19 in New Orleans, and the New Orleans Scooter Cooperative seems almost TOO eager to host this year. They’ve created this great promo video (that I can’t embed, and you might not be able to see, because it’s on Facebook). if that doesn’t make you want to head down to NOLA and party, I don’t know what will. This is probably where we’re all going to end up. Via Scooterism.